It might have something to do with its history. Back when I was living at home, I only remember my dad ever cooking two things — meat on the Weber grill (that’s cooking, right?) and this chili. Luckily for him, he does both really well. I’m not sure about this recipe’s history, but I do remember the first time I tried to make it myself. I was in college and my roommates and I decided to have a chili and football night. Of course I volunteered to make the chili, but I didn’t realize until much later that I was in way over my head. I didn’t know much about cooking back then (if I couldn’t microwave it, I didn’t eat it), and I think the whole process took a few hours. Luckily, my skills have vastly improved since then and I can easily whip up this chili — from memory — in about 30 minutes. Over the years I’ve made slight modifications to the recipe, but the basics remain the same. I’m pretty sure I’ll never be able to make it quite like he does, though. In a large stockpot, cook chorizo and turkey until cooked through. 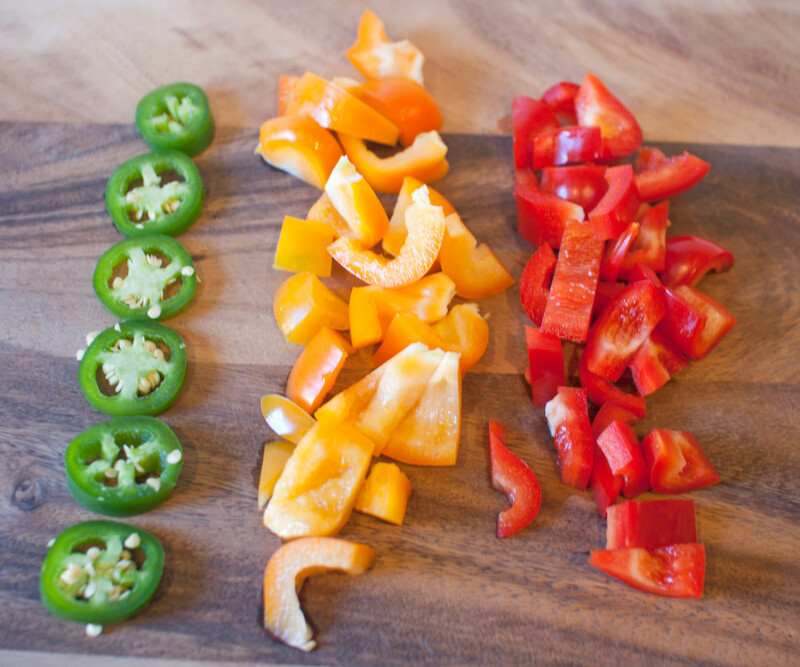 Add peppers, jalapeno, onions and garlic and stir everything together to combine. Let the mixture cook for a few minutes until the veggies start to soften. Add barbecue and Worcestershire sauce, stir combine and let simmer for a few minutes. Stir in mustard, celery seed, garlic powder and chili powder. Add tomato paste, beans (drained) and tomatoes (with juice), stirring to combine. Gently break up the tomatoes using your spoon. Add beer, stir and cover, and let the whole batch simmer for at least two hours. The longer it cooks, the better it is. Serve topped with your choice of toppings and a frosty mug of your favorite beer. Mmm…chili! That looks wonderful. I love how all the ingredients are all lined up, ready to be used. :-p My version of chili is somewhat similar to yours in that I use chorizo, beer, and a variety of beans, too. Gosh, you got me in the mood to make another batch! What a great chilli recipe. Well done to your Dad. Nothing more comforting than a hot bowl of chilli. Yours looks YUM! Hahahaha! I love it! I still have the Patriots logo as my facebook profile picture! I love TRUE fans! 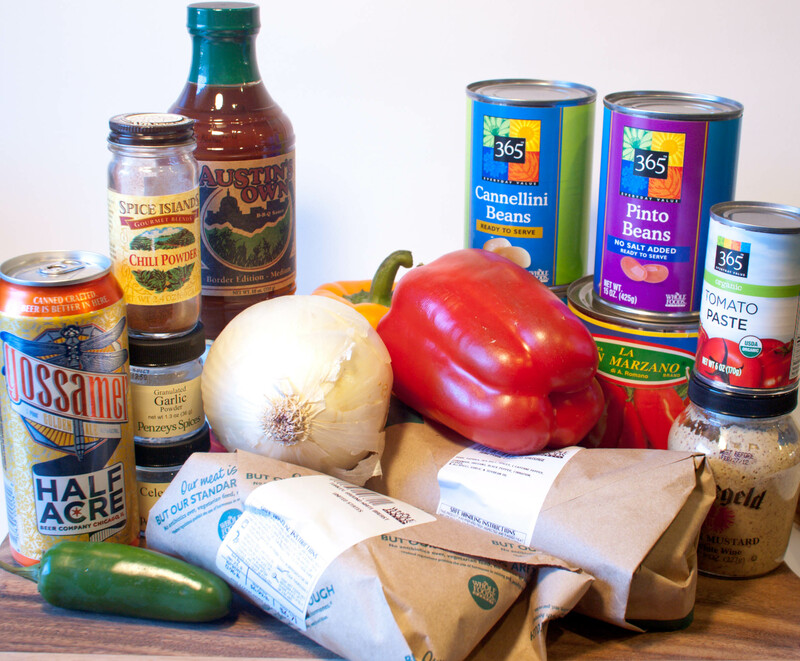 And I love all of the great flavors in this chili –beer, brown mustard, celery seed, bbq sauce, three types of beans! I can only imagine how amazing it must taste! I couldnt agree more! Chili and football are like PB&J. Classic combo! 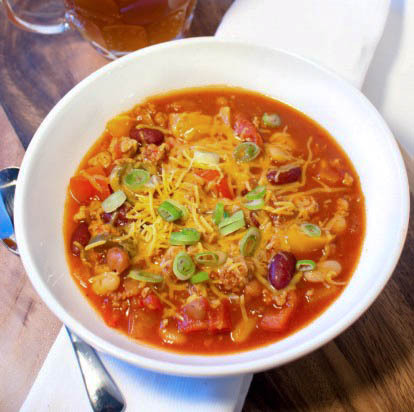 Love the beer in the chili… my husband says he’ll do flips for me if I make this tomorrow! Haha! In that case, I really hope you make it! And take pictures. Hehe. 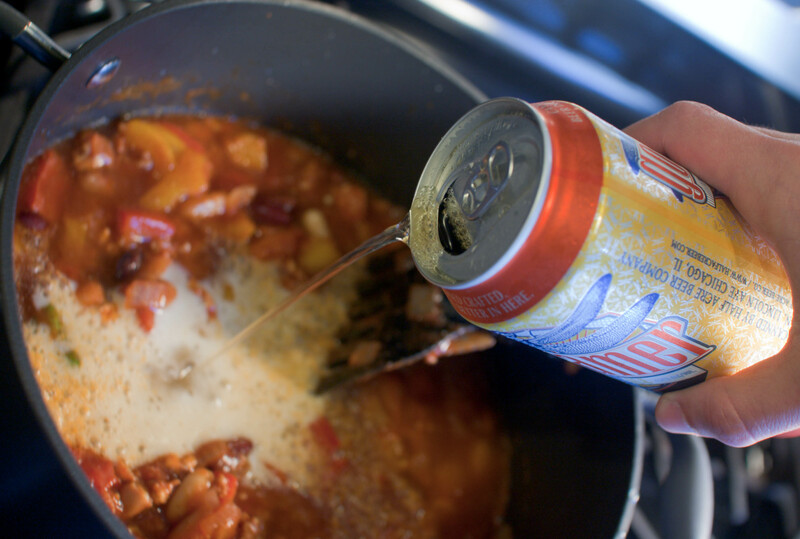 I hear that chili and beer are essential components of any Super Bowl get-together. You have put them both together in the one dish. You give it such a recommendation that you’ve convinced me to try it. Looks really good! Nice photos.. I love anything with chorizo in it – looks great! Chili is the perfect super food! Yeah, next year for the Bears…I don’t think I can root for the cheeseheads! I made chili with beer for the first time last year and LOVE IT. I’m never making chili without beer again! Looks great. How many servings does this yield? Thanks. Approximately 8 – 10 larger servings.